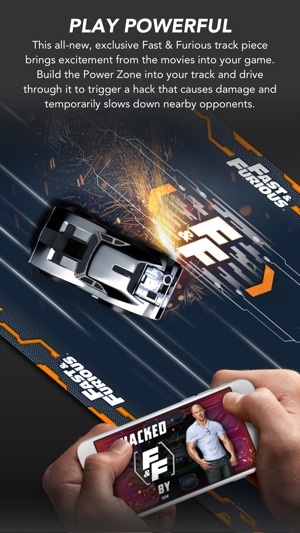 Anki OVERDRIVE: Fast & Furious Edition brings the excitement of the movies to life. 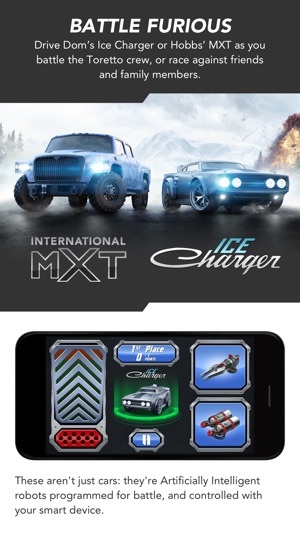 Drive Dom's Ice Charger or Hobbs' MXT, race against members of the Torreto crew, and build more excitement into the track with a new exclusive track piece. 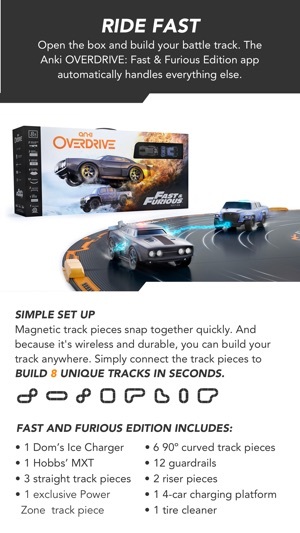 Anki OVERDRIVE: Fast & Furious Edition required to play. Available at Anki.com. ©2018 Anki, Inc. All rights reserved. 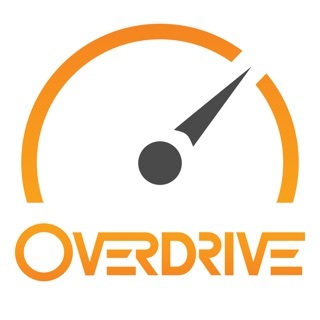 Anki, Anki OVERDRIVE, and the Anki and Anki OVERDRIVE logos are registered trademarks of Anki, Inc. 55 2nd Street, 15th Floor, San Francisco, CA 94105, USA. 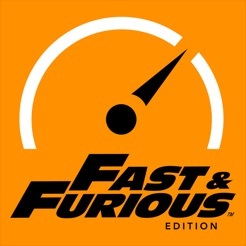 Fast & Furious is a trademark and copyright of Universal Studios. Licensed by Universal Studios. All rights reserved. Dodge and related logos, vehicle model names and trade dress are trademarks of FCA US LLC and used under license. Bug fixes and polish. Includes GDPR related account creation update. Great game overall but after spending a couple hundred would have rather bought a game one the phone or a 100 of them for the same price. Biggest concern is that they never updated to iPhone X screen size it’s been like half a year since it came out, come on guys. 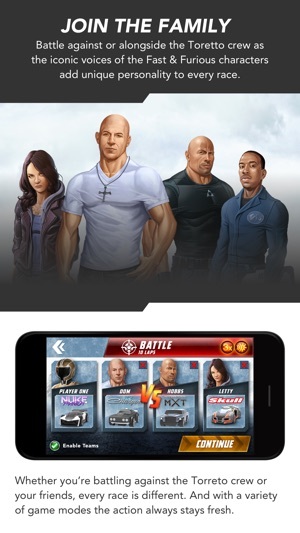 Next they never update the game I mean like change how it looks it’s had the same look since the original Anki maybe a little has changed on the fast and furious version but still the same. And the guard rails may I suggest that their be pieces of magnets one the outside/inside of the tracks and the guardrails just magnetize on the their. Would take way less time to but back on after the super truck hits it or even any car for that matter. If it’s going to fall of make it easy to put it back on in seconds not 10-20 sec. Overall great game just got boring because nothing is new and it’s hard to find lvl 3 stuff in the store spent a lot of money refreshing. 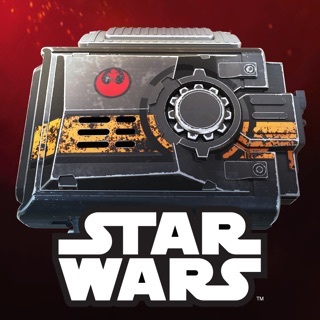 Please update it make it look better and enjoyable to play also Change the music when you go into the game it’s pretty annoying to listen to it thanks for the game. Hyperspeed Mode is great and delivers on the promise this game always had to be “slot cars on steroids”. No weapons, no support but thrilling and exciting - you have to earn wins with precision throttle control. Further smoothing out steering back to the days of 2.6.2 and prior would help even more but this is a good addition! Steering has gotten closer to this recently but is still not fixed! The big problem is that multiplayer games crash at the finish line for everyone except the ‘creator’. Joiners are stuck and require a new session or a restart, plus they earn no coins and no points. Shouldn’t have been released this way. Same problem in original Overdrive app. **WORKAROUND** Game creator has WiFi and BT ON. Joiners WiFi on but BT off. Host invites them even though their devices say NOT READY. Game will play (to the human eye) normally. Anki has this in their bug backlog to correct but ETA unknown. 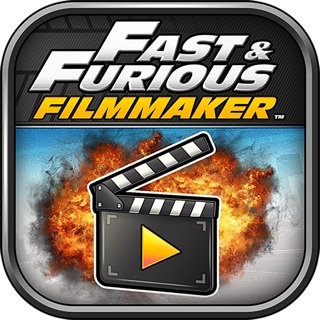 We are very sorry that you seem to be having some multiplayer issues with your Fast & Furious app and would like to offer our immediate assistance to make sure you are getting the most out of your Anki product. Please contact our Customer Care team directly via our Support Help Center (http://anki.com/support/contact) and quote your personal reference number 182455. A member of our team will then look into your request and address your questions or concerns. Great Game! Guardrails Need Work! This track is awesome!!!!!! The way my son’s face lit up whenever he tore the wrapping paper and saw what was underneath it on Christmas Day is priceless!!!!! We are racing right now! But the guardrails do not stay put. This is our ONLY complaint! How can you design something so innovative whenever it comes to a racing track, but have no imagination whenever it comes to making sure the guardrails stay in tact? This is my only reason for not giving this the ⭐️⭐️⭐️⭐️⭐️ it deserves!!!! 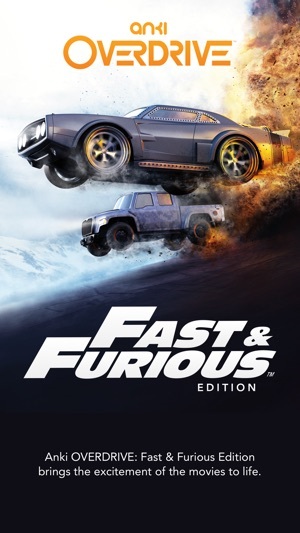 We are very sorry that you seem to be having some issues with your rails and we would like to offer our immediate assistance to make sure you are getting the most out of your Fast & Furious Edition. 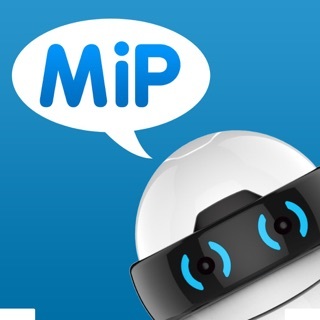 Please contact our friendly Customer Care team directly via our Support Help Center (http://anki.com/support/contact) and quote your personal reference number 176616.